Latent Semantic Indexing (LSI Keywords) And Impact on SEO? SEO is a very large subject.There are different parts of it.In the previous article we discussed the exact match domain (EMD).Today, we will discuss Latent Semantic Indexing (LSI Keywords). You think you're looking for something in the google search engine.So you can see 10 results on the first page.Let's say you've been looking for "SEO Tutorials".Then you can see some suggestions below in the google search engine.These suggestions are the same as the keyword that you are searching for.You can see the keywords that search many people.LSI Keywords are other related keywords that apply to the main keyword.In fact, Latent Semantic Indexing (LSI Keywords) is, related keywords. 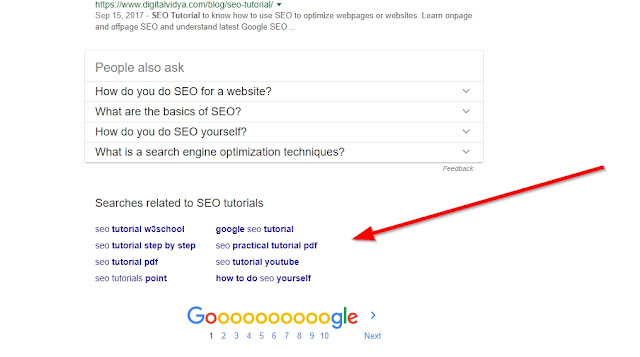 If we take the above examples keyword "SEO Tutorials", We can give it a related keyword(seo tutorial step by step, seo tutorial youtube, seo tutorials point, how to do seo yourself).So if you're looking for something in google, you'll see suggestions below.They are Latent Semantic Indexing (LSI Keywords). So if you expect to rank a keyword, It is important to look at LSI Keywords.You must have the keyword that you need to rank on your site.Imagine that there is an article on your site.So in that article, your main keyword is compulsory.It's important to rank your article.And as LSI Keywords, do not forget the related keywords in that article.So if your content is good, it will be easier to rank.Also read How To Indexed Your Site New Post In Google In 2 Minutes! According to Google's algorithm, Content on your site is major.The more relevancy it matters to seo.If your site does not have LSI Keywords, googlebot will not rank your site.So you have an easy way to find these LSI Keywords.There are various tools for this.Then let's talk about it. Also read: How do Search Engines work? 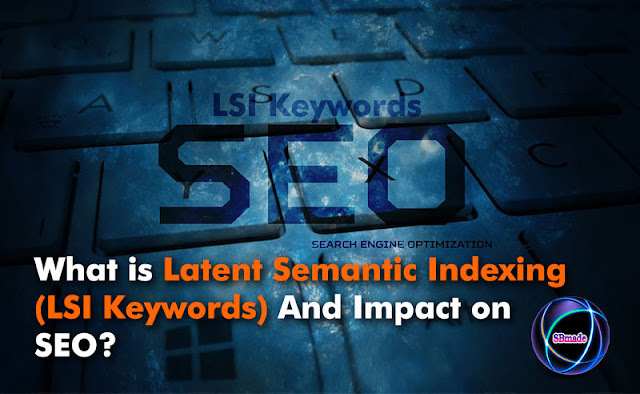 So you know about What is Latent Semantic Indexing (LSI Keywords) And Impact on SEO?, Hope you like the post, don’t forget to share it with your friends and leave a comment below if you are facing any problem at any step in the method discussed above.Thank you. SBmade | New Data Of Technology: Latent Semantic Indexing (LSI Keywords) And Impact on SEO?